Setu exists to bring people together with compassion and respect. Many aspects of modern life demand success and survival in highly competitive ways. 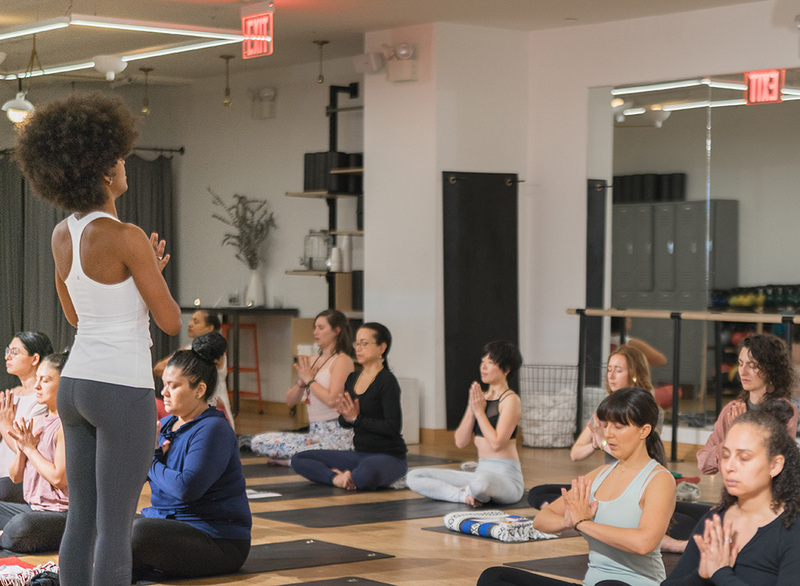 Even as yoga teachers it can feel challenging to connect with a studio, be acknowledged for your teaching or find your true yoga buddies. Where does that leave you? We all want affirmation that we’re putting our effort in the right place and loving support for those times we take detours. 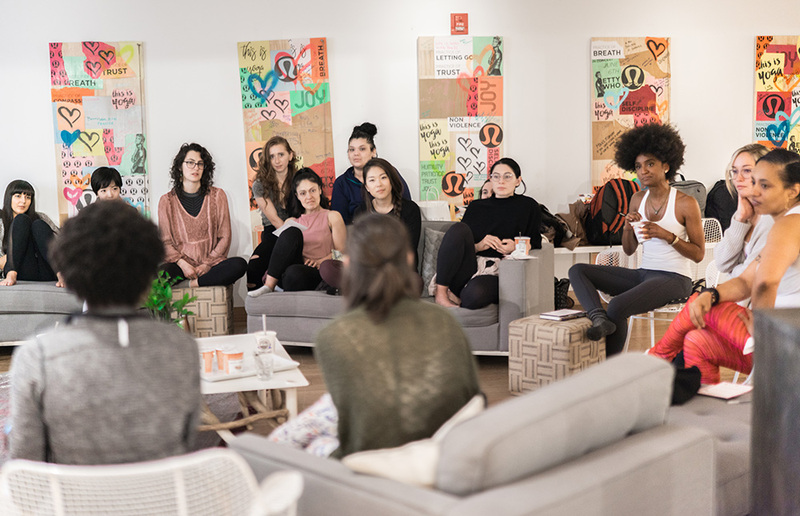 With Setu we want to carve out a space where we can slow down and meet each other – with the shared expectation of being able to put down our guard and be seen for our true selves. 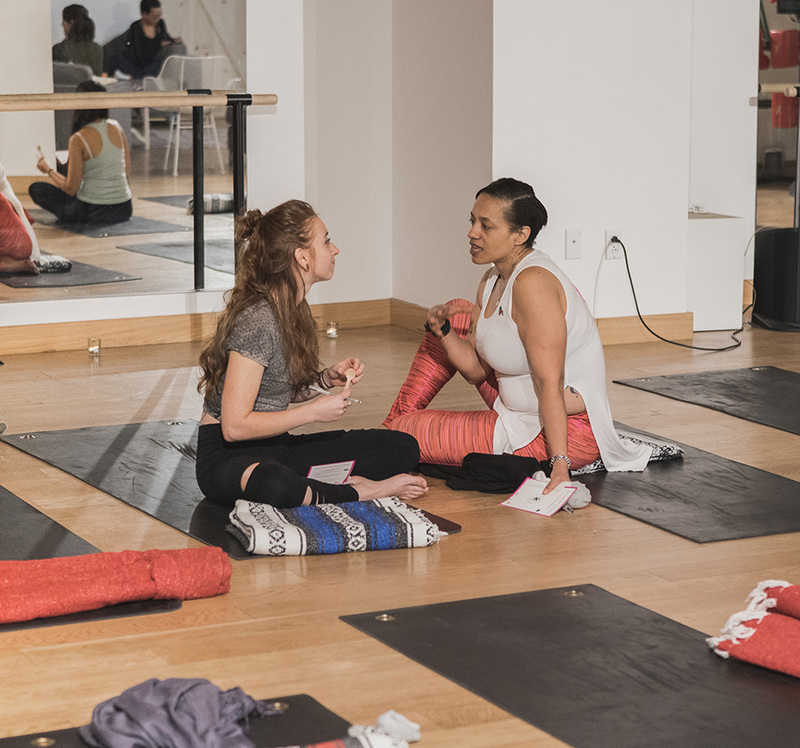 Our monthly events offer regular time for yoga teachers to connect with each other in-person this way. 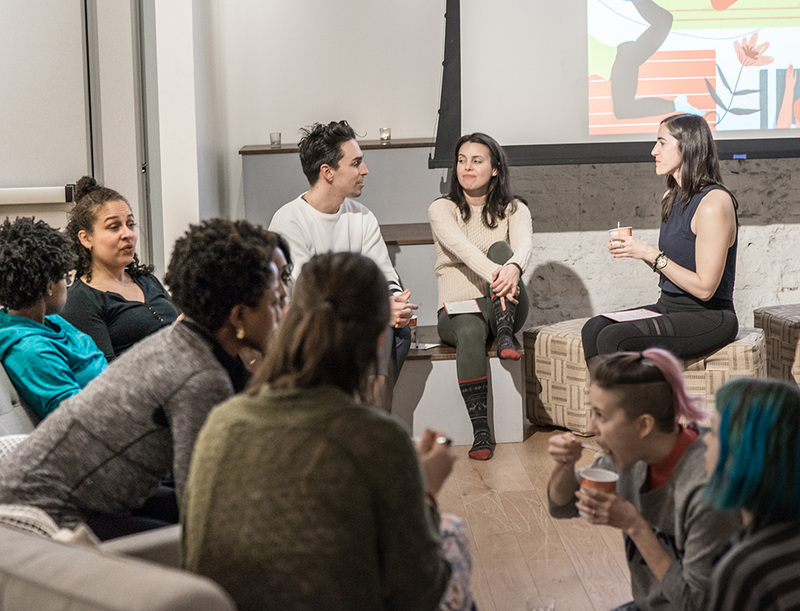 Each event includes, asana/meditation, a wellness treat and constructive group conversation. 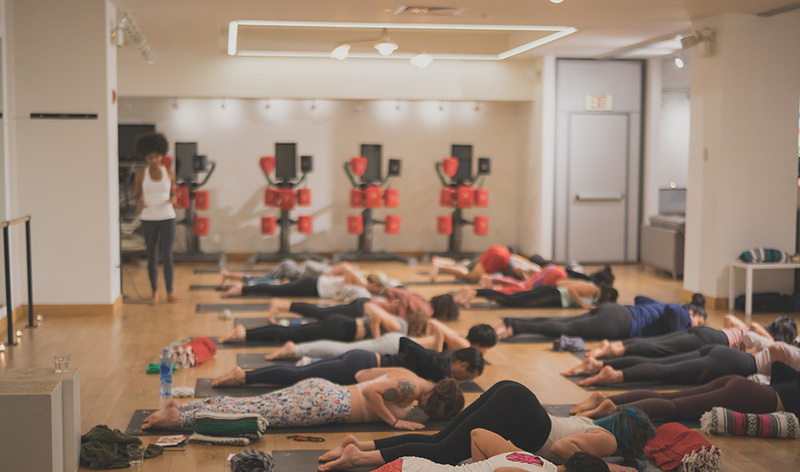 We’re not just on our mats but we’re sharing ourselves with others while being taken care of at the same time. 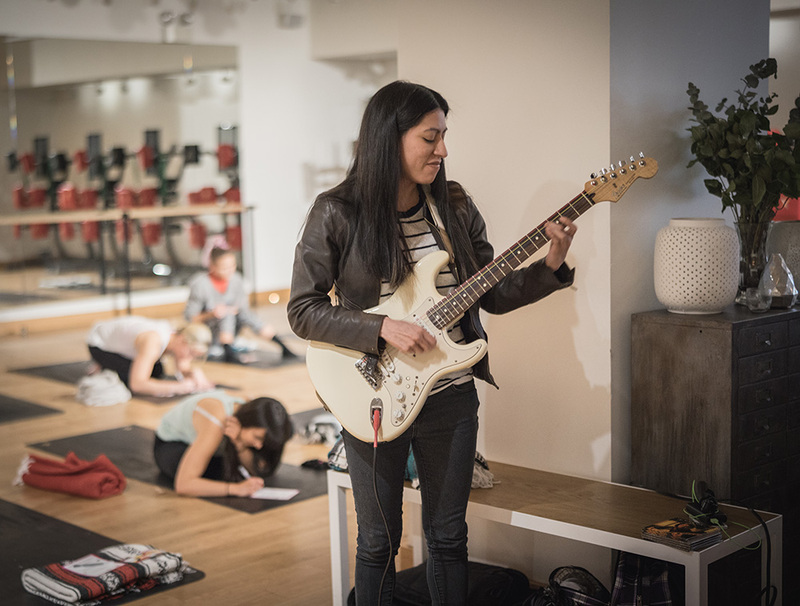 On February 24, several yoga teachers gathered together at lululemon’s HUB Seventeen in Manhattan for Setu’s second event Nourish : Be Nourished. 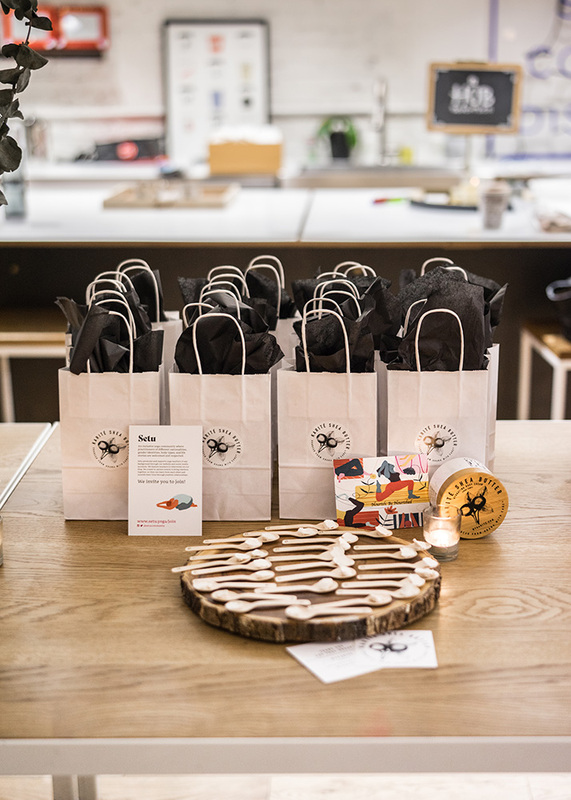 Our guest teacher for the evening was Tara Purnell, our host and apparel partner was lululemon’s HUB Seventeen, wellness partners were Karité and Annmarie Skincare, with refreshment partners Purely Elizabeth and Anita’s Yogurt. Everyone collectively created a beautiful evening. 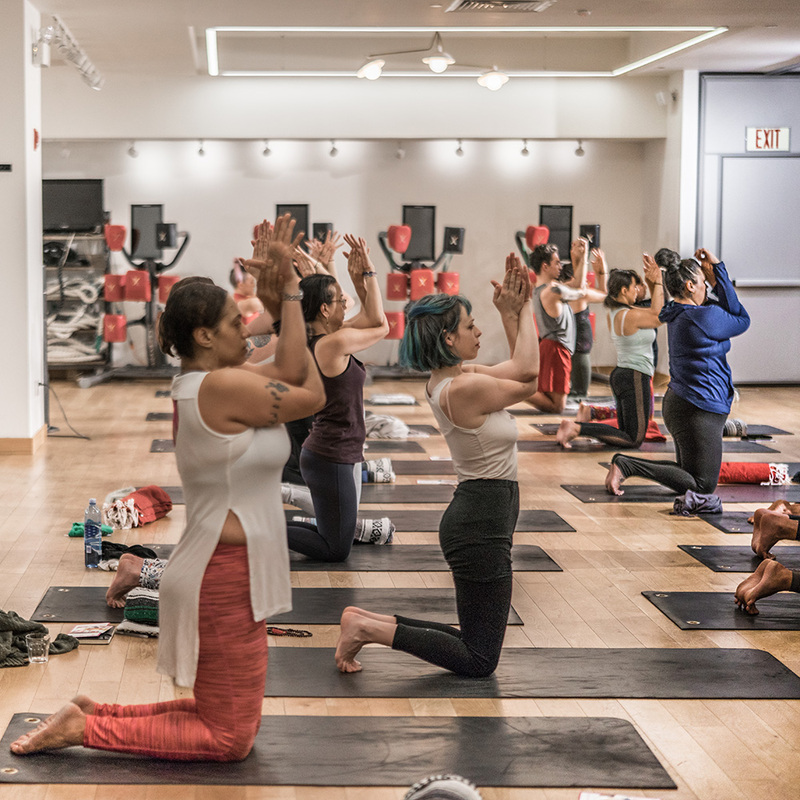 Tara started the practice with meditation and gently moved into an asana focusing on the third chakra. 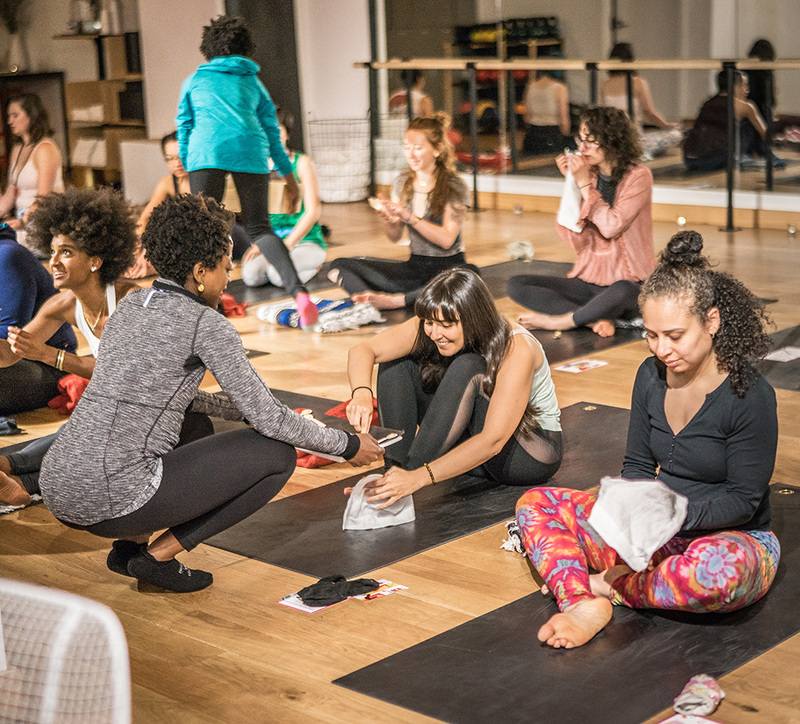 After practice, Karité brought around warm washcloths infused with lavender essential oil that we used to clean our hands and feet. They followed the towels with small wooden spoons containing their body and hand cremes. Naana, one of the Karité co-founders and dermatologist, shared the story behind their creams and how the natural ingredients – including Shea butter – support our body’s holistic health. Jade Zabric played acoustic electric guitar – keeping the mood relaxing and warm. 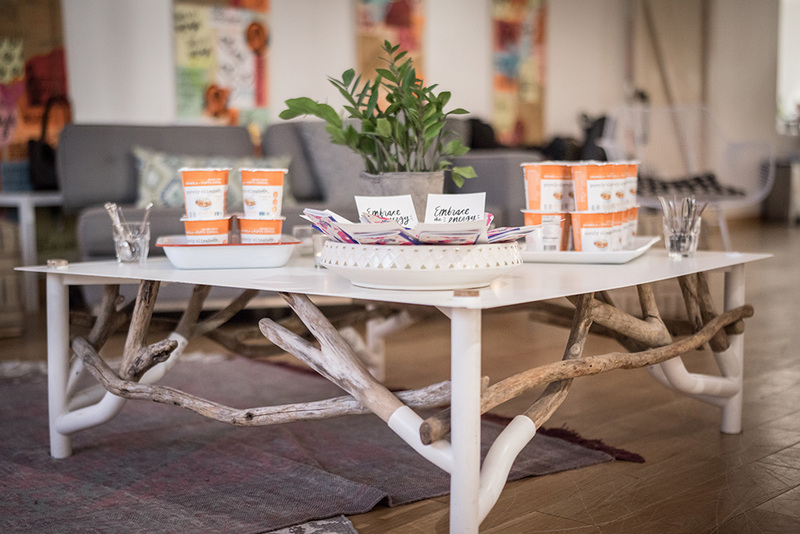 After our hands and feet were all soft and hydrated, we moved to the sofas to answer the evening’s themed questions around nourishment, enjoy ancient grain granola and coconut yogurt. 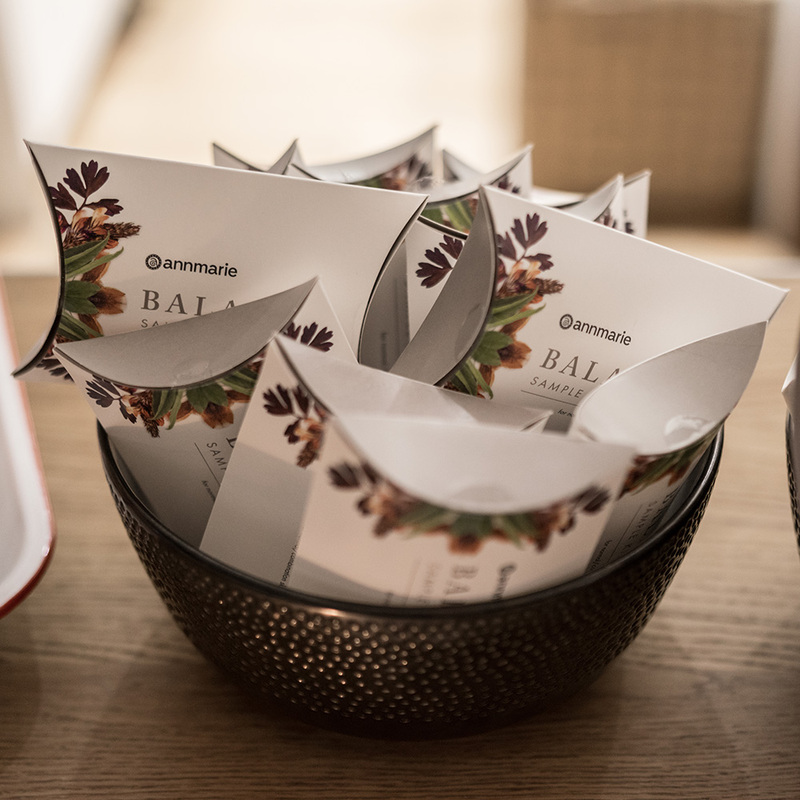 At the end of the night, everyone went home with Karité’s full size hand cream and an Annmarie sample kit. 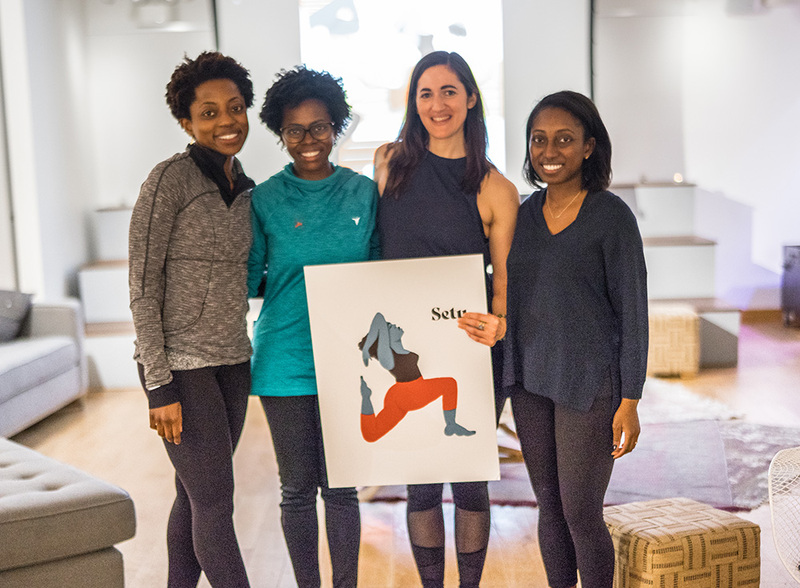 A big thanks to all our partners, Setu advisor Hillary Lopes, and our generous host lululemon NYC’s HUB Seventeen! We love you!